Love facing the mirror again! 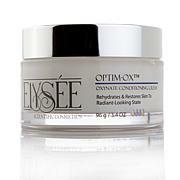 Help smooth the look of bothersome expression lines with this lightweight beauty treatment. 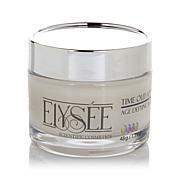 Cutting-edge skincare ingredients and technology are the hallmarks of this cream specifically designed to address the needs of aging skin. Hello, beautiful! Juvinity™ is a registered trademark of Sederma, Inc.
Inyline™ is a registered trademark of Lipotec. Ingredients: Water, Acetyl Hexapeptide-30, Arginine, Caprylyl Glycol, Yeast Amino Acids, Tricalcium Phosphate, Morinda Citrifolia Extract, Chondrus Crispus (Carrageenan) Extract, Chondrus Crispus Whole Plant Extract, Sodium Hyaluronate, Acetyl Octapeptide-3, Glyceryl Stearate, PEG-100 Stearate, Caprylic/Capric Triglyceride, Geranylgeranylpropanol, Cetearyl Alcohol, PEG-40 Castor Oil, Sodium Cetearyl Sulfate, Hexyl Laurate, Decyl Oleate, PEG-7 Glyceryl Cocoate, Stearic Acid, Thermus Thermophillus Ferment, Panthenol, Beta Vulgaris Root Extract, Glycerin, Haberlea Rhodopensis Leaf Extract, Yeast Extract, Carbomer, Propylene Glycol, Methylparaben, Propylparaben, Titanium Dioxide, Phenoxyethanol, Ethylparaben, Butylparaben, Isobutylparaben, Triethanolamine. I've used this moisturizer in the past and always liked it. 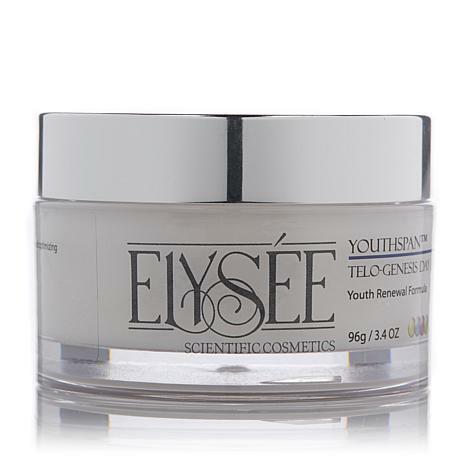 This cream is very hydrating while being light weight, not heavy or greasy. I love the light whipped consistency, it makes my skin feel so soft. I happened to catch it on sale and ordered it again, so glad I did. Thanks Linda & HSN. 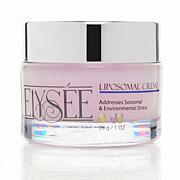 This is THE Best day cream ever! My skin is so soft and supple. I am 52 with oily skin. I always worry about creams. This leaves my skin hydrated with no greasy or oily feeling. My skin has never looked better! Thanks Linda and the Elysee team! I have been using Elysee for over a year now and would not use anything else ever again. I'm 68 and look a lot younger. 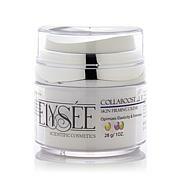 No wrinkles around my eyes, skin is soft smooth and hydrated. My friends always say "look at her skin" they have been told to get on board! Changed my skin for the better!!!! Love this product. I even use it on my arms. It makes my skin so smooth looking. We need it in a super large body lotion. Can Elysee make this? It would be so appreciated. I am new to this line and this may be the one I will stick with.